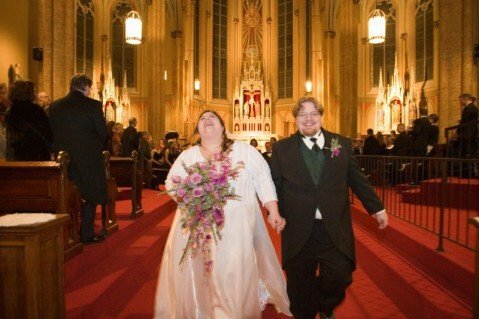 I'd like to submit our wedding photo for your Museum of Fat Love. We've been married almost three years and the fact that we're fat doesn't matter. What matters is that we managed to find each other in the vast sea of strangers out there, fat and thin. We have three kids now and we're enjoying life to its fullest.